It is a magical night and stars begin to fall from the sky when brother and sister bear come out of their little house. Users accompany the naively designed figures on their adventure of collecting stars, travelling together with them through four magic lands to meet friends and make their way through over one hundred levels. HiStar is a gravity control game for children, which is quite easy to play. Users simply have to touch and press the bears to blow, shake or tilt the screen in order to collect stars in one of the glass bottles, which come in many different forms and sizes. Pressing and holding the bears increases the blow strength, requiring users to play faster and more attentively. The game features four magical sceneries or landscapes including a village, a forest, an island and a coral reef, each with 16 levels and two play modes. With that many different levels and difficulties for each challenge, the game provides high variability and much fun for different age groups. 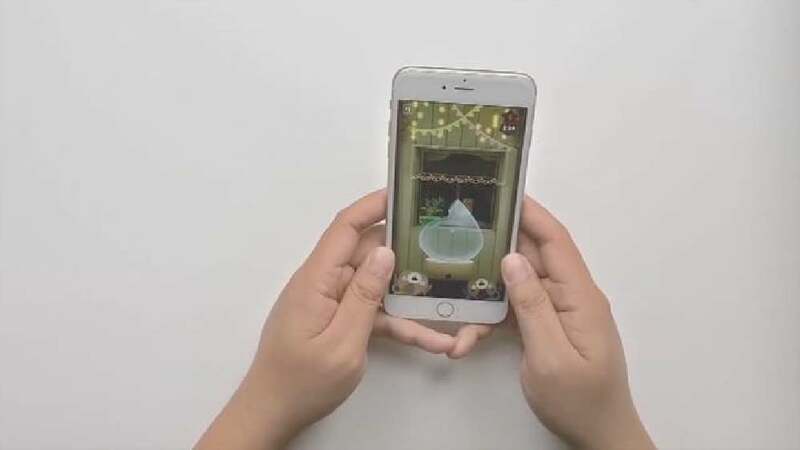 The e-game for children captivates with cute, charming characters acting against visually enticing backgrounds, as well as with the emotional story of the two little bears who try to catch stars falling from the sky. The game also stands out in terms of technology as it uses different input mechanisms like turning or tilting the tablet or the phone. This enhances both user fun and skills while playing.